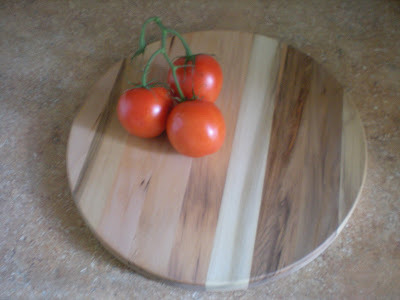 The Friday before last, I used my round wooden cutting board for the first time. 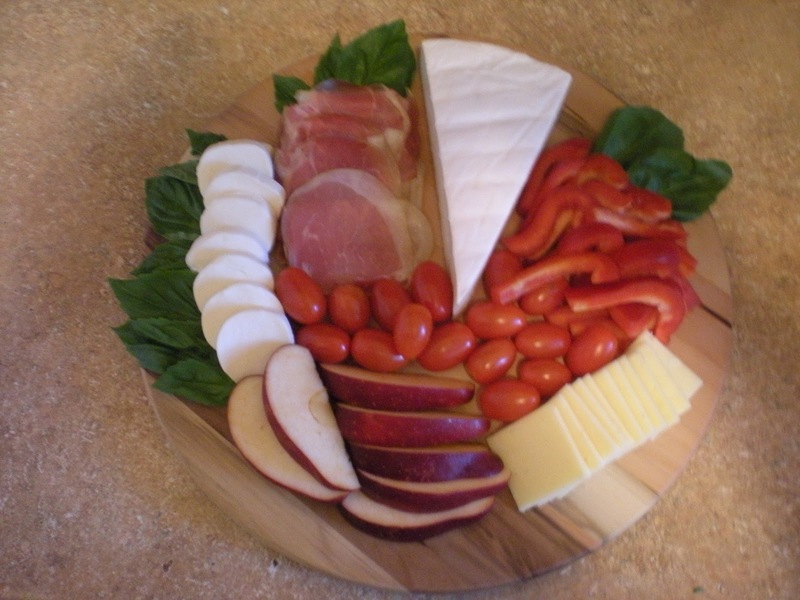 I served antipasti as intended and mentioned back in this post, specifically mozzarella, brie, cheddar, basil, tomatoes, red pepper, red apple and prosciutto. I also served a baguette in a wire basket from Home Goods, a good olive oil for dipping in a little white scalloped dish from Pier 1, and a pasta salad in a latte bowl from Anthropologie. With glasses of Chianti of course. Plus, Prosecco too! 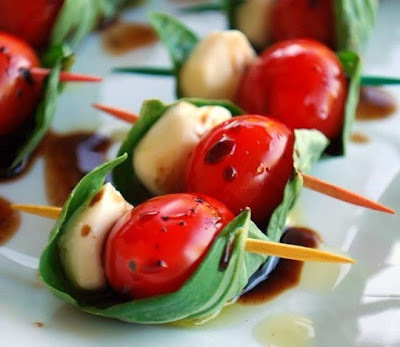 I shared this feast with my fellow blogger, Kate from Une Vie Chic, that evening al fresco on my balcony. She brought delicious proscuitto and goat cheese stuffed mushrooms. She loves all things French as much as I adore all things Italian. 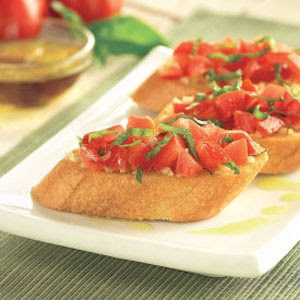 That's why I had a mix of Italian, French and American specialties. We had such a great time discussing the European lifestyle both of us greatly value. I suppose we've both been big fans of each other's blogs for awhile, but it was actually the first time I met her in person. It is so great to meet new people. Once I get through this 64 (work) hour week (Monday through Sunday), then I can think about something social again! That is so American, so not Italian! My boss at my part-time job better hire someone soon. She's well aware that I want to work like 9 hours there. That antipasto dish is making me SO hungry right now! It looks delicious. How fun to get together with Kate! I bet you two had lots to talk about. Thank you! We thoroughly enjoyed it! Like I said, I wish I could have cooked something, but I did the best I could at the time. The whole thing was on short notice too. We did! It was fantastic! Both having European lifestyle blogs, we talked about our shared values for hours. I didn't even rant about my long day or week; we were consumed with talking about the lives we wanted to lead. She's like a soul sister! I love the sense of community that a blog brings about. That is an insane amount of work, and I do hope they hire someone else soon! I need to get you up to the city! 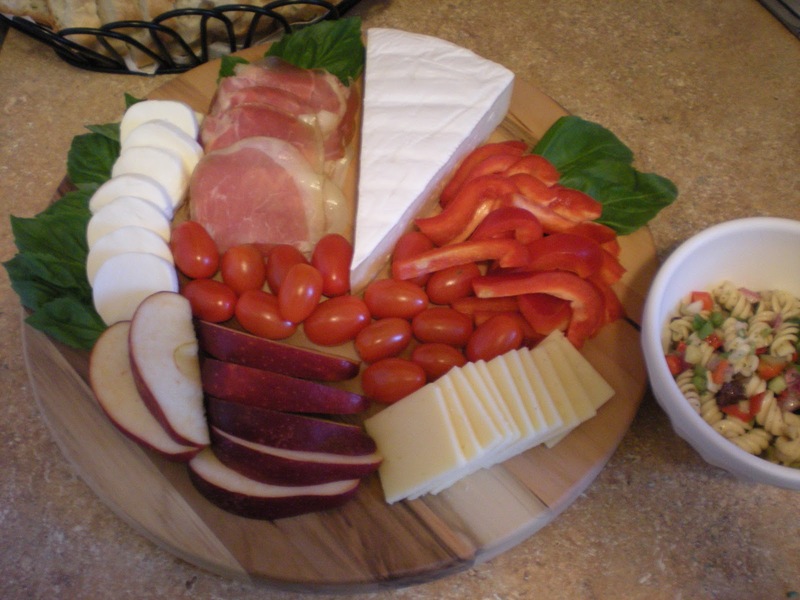 And I loved that antipasto display so much that I have been searching for a round cutting board everytime I'm in Homegoods or Marshalls! It might have been simple, but it was lovely and so relaxing. Thank you again for having me! I hope my boss hires someone soon too! I also may put my foot down... I'll let you know when I'm not working so much. It was, a lovely little escape. You are so welcome! Thank you for coming. My lunch break is over, back to work!